I invite you for the september episode of tranceplorations, from this month the show is broadcasted on puslradio.com trance chanel and also on discovertrance.com. 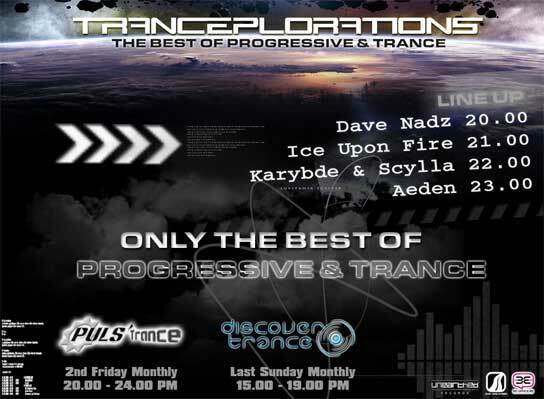 I invite you for the august episode of tranceplorations, from this month the show is broadcasted on puslradio.com trance chanel and also on discovertrance.com. 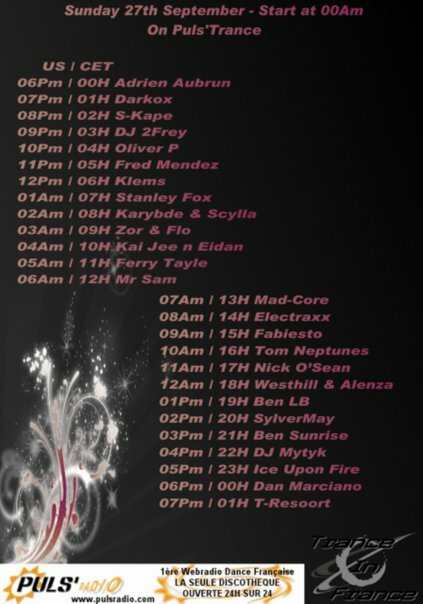 As usual i post here all the details about the monthly radio show Tranceplorations by Ice Upon Fire! I give you the playlist and link to donwload the july episode. I learn at the last moment that the show is not broadcast on pulsradio so I prematurely gives you the playlist and the link to download the mix. I'am sorry for the situation and apologize to all. Hi everyone! 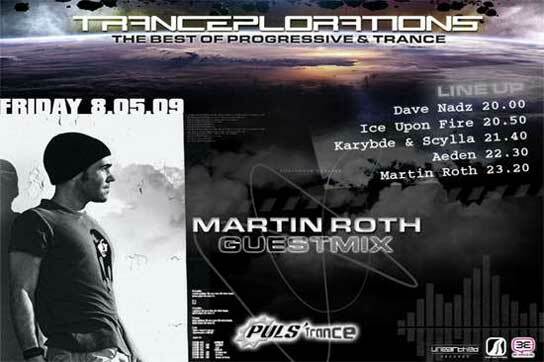 I invite you for a new episode of Tranceplorations Martin Roth guest mix ! Download link: Ice Upon Fire @ Tranceplorations 14/11/2008. As usual I'm happy to invite you for a new episode of Tranceplorations. This is the firts time i record the show with real turntables and i hope you'll enjoy it !